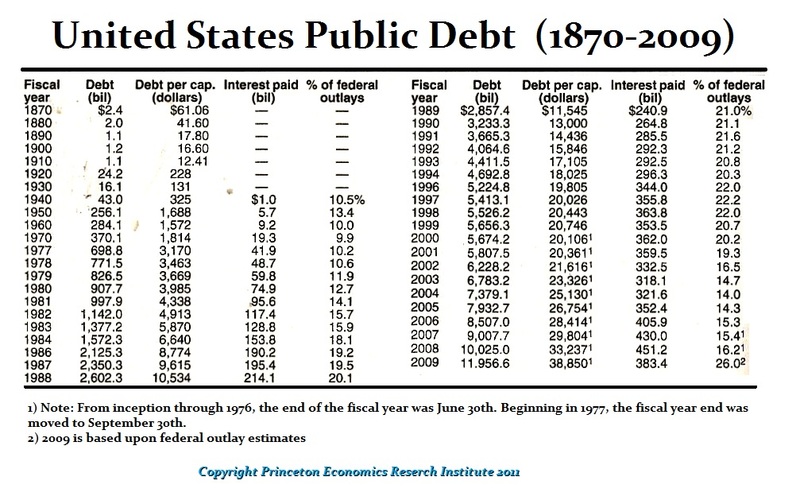 Here is the US Public Debt from 1870-2009. There is no such correlation that a rising debt results in higher gold prices. That is simply FALSE. This is a delicate balance of all aspects of the economy interacting with each other. Welcome to the NEW ECONOMY – it is really GLOBAL. The idea of creating a cause & effect scenario based upon a single relationship is primitive thinking and is simply old school. 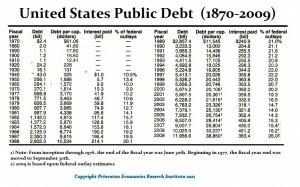 The national debt exploded between 1980 and 1985. The dollar rose and gold declined. Sorry. All those sales pitches sound good, but where’s the proof? The truth lies in a complex contango involving all markets and international capital flows. It’s a whole new world out there. It is time to get up to speed.